Santorini island, one of the most beautiful greek islands has so much to offer to the visitors from an amazing rocky landscape to the famous sunset attracting romantics from all over the globe annually and keeping the holidaymakers really busy and happy. The best and the most dazzling sunset in the Mediterranean is something that you need to see with your other half, family or friends when in Santorini and experience this unbelievable views. However do not expect to be just you and your companion! People from all over the island climb the most unlikely places to admire this spectacular view. 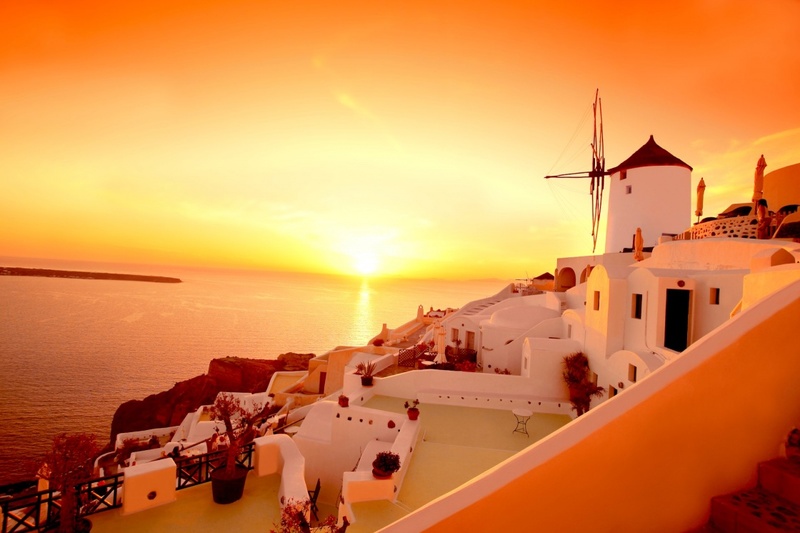 Really few places can reach the amazing sunset of Santorini and every visitor that wants to see the best of the island has to live this amazing experience to the fullest. To realize the importance of the island’s sunset you only have to think that photographers from all over the globe have shot amazing photographs from every possible different angle and you are the privileged one that gets to see it happening so do not leave it out of your program. Sunsets are with no doubt romantic, but you can also see them as an adventure. How the colors seen in the sky are purple, yellow to orange red and how this golden sun will remain in your memory for ever. If you wish to fall in love with the most romantic greek island and even if you wish to get married there, Santorini will not only meet all your expectations but will undoubtedly remain in your memory for ever. So do not waste any more time and enjoy this spectacular sunset with your other half or your beloved ones!